I first got a taste of the famous Kopi bun about a couple of months ago when my cousin and I were walking around MOA, waiting for the next segment of our seminar in SMX Convention Center. She dragged me to the small shop, raving about some kind of a coffee bun which I had no interest in. I'm not a caffeine addict nor am I a bun lover. She bought a couple of buns for herself urging me to do same, though in vain. Halfway through the seminar however, my stomach started to complain. I nudged my cousin asking for some snacks, a cracker or candy to temporarily satiate my hunger. She offered me the Kopi bun and I wrinkled my nose. Nope, not interested. But my tummy was growling something else in reply. So I went ahead and took off a small piece of the bread and put it inside my mouth. Boy was I wrong about thinking it might taste too coffee-ish. Though it hinted coffee, it did not taste strongly as such, and the butter that oozes out of the bun and into your fingers was in fact heavenly. She smiled wryly as she noticed that I was then pinching a much bigger piece of the bun. 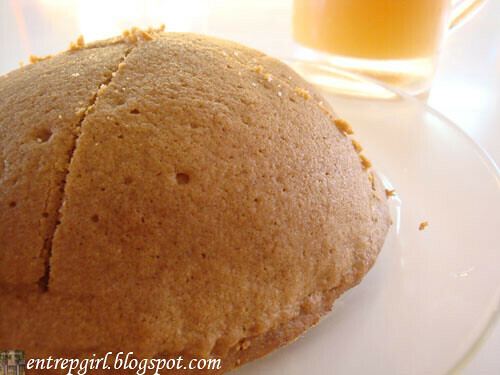 Indeed, the Kopi Bun (P40) leaves a pleasant mark in your palate. I also love their Soft Boiled Eggs (P30). 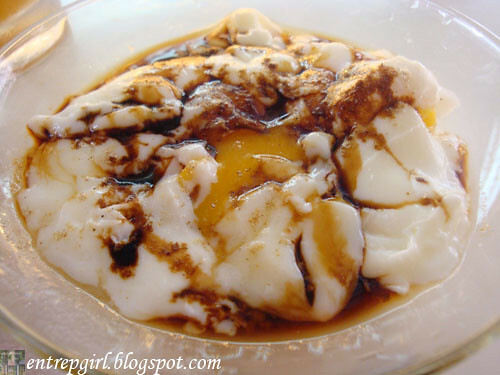 2 soft boiled eggs with black soya sauce and white pepper. The sweet soya sauce gives a different but tasteful flavor making me finish it even before I finished half the bun. KopiRoti also offers different set meals like french toast/buns with drinks. 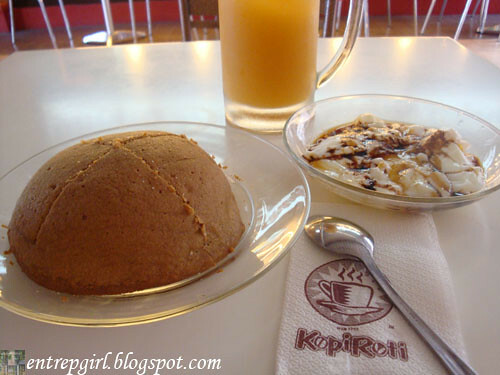 I order the Kopi Bun with Soft boiled Eggs and Iced Tea (P105), which makes for a very delicious afternoon snack. They now have a branch in BF too. yeah their kopi bun is the best!